Get in and out of seats with ease. Extra thick swivel seat cushion swivels in either direction to ease mobility while adding 4" of height for comfortable support. Seat pad's rubberized bottom grips upholstery to prevent shifting while you safely enter and exit your chair or vehicle. Ideal for anyone with arthritis, limited mobility, or leg, hip or back problems. Chair cushion swivels for easier mobility. Durable plastic base supports up to 300 lbs. Swivel cushion measures 16"dia. x 4"H.
Machine wash cover in cold, no chlorine bleach; tumble dry low. More comfortable than my previous cushion from here. Thicker and cloth covered. I like the added height it gives me. Due to my handicap I need a cushion, the swiveling of the cushion works well, except the cushion is very hard. Will have to add another cushion on top of it, to make it softer for me. I am short, sports car seat to low, this should help me enter and exit car and have a better view overall. A need for a boost when driving my car. 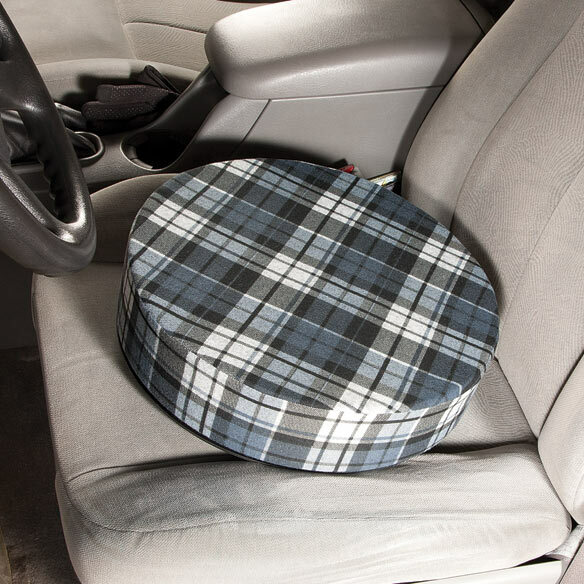 All other cushions I have used don't stay on the seat when exiting the vehicle. This appears to be designed to stay in place. Hope that it works -- for entering and exiting my car and I needed to sit a little higher. Hoping this will help my mom get out of car easier. I have Muscular Dystrophy. This cushion will help me get up out of chairs or booths in restaurants. I need to be able to swivel into the hot tub. After back surgery, I am unable to see over the dashboard in the car. Now I will be able to! For my mother that’s 85 years old and my seat in my car sits to low for her to see. I need to add height to my automobile seat, and I also like the fact that it swivels. I need the height when I sit, also need to be able to turn my body to get up. To assist my 95-yr-old husband in and out of the car. None of the "reviews" mentioned if the surface is comfortable to sit on. I hope it is. The height will be good in addition to the swivel feature. If this will be printed with "Reviews" it will not be much help to anyone else because we have not seen or used it yet. to use in car for height & ease of in/out. Am handicapped and need assistance getting in and out of cars. We plan to take this cushion with us to restaurants so it's easier for my elderly mother to be seated and to get back up, as well as extra comfort. To help my grandmother get out of the car easier. I NEED TO BE HIGHER IN MY CAR! Added height makes it easier to stand. It is very hard for me to get out of the car and this should help a whole lot. Ease to get into car. Chose this for my car. I was hoping to get this in time for my trip but don't think it will make it. 4 days to go and just found this item. My sister has this cushion and it's well-made. We share a muscle problem that makes standing from the seated position very difficult. 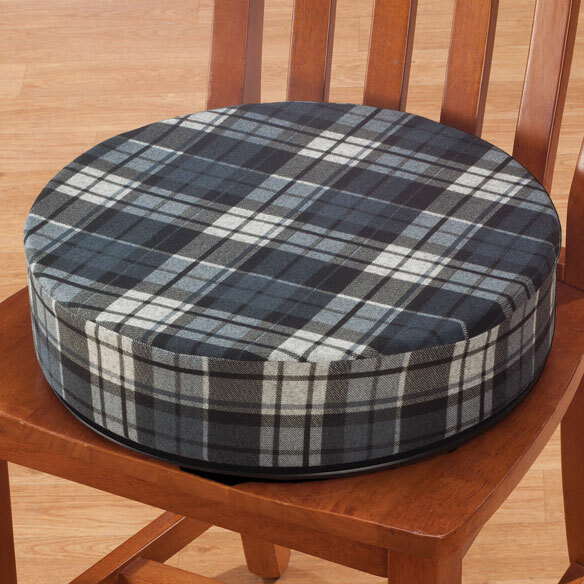 This cushion works beautifully to aid us in getting up from the seated position. I hope this will help me to get in & out of a car. Enable ease of entry into car. Of those who needed to see out of the car when driving, did this work for them? BEST ANSWER: Did not use in the car.